Welcome to Northtech Drilling Ltd.! 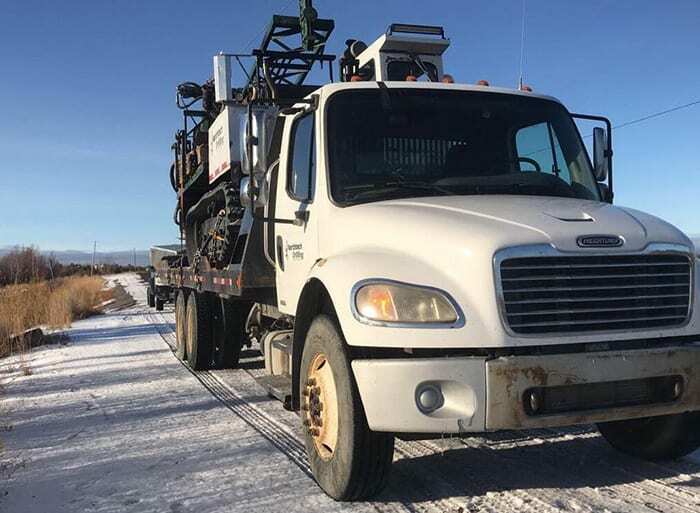 We are a family-owned and operated industrial drilling contractor specializing in providing reliable and professional diamond drilling services in Northwest Territories. Canada. Established in 2006, we are the only Northern Aboriginal-owned diamond drill contractor in Yellowknife, Northwest Territories. The Cochrane family has been intimately involved with the drilling industry since Stan Sr. started in 1949. His son, The current owner Stan Jr., also has 43 years’ experience in every aspect of the diamond drilling industry. He has personally worked on several of the largest projects to ever be discovered in the Northwest Territories. With a special focus on the diamond exploration industry since 1993. Bryson, Stan’s son, has also been involved in the industry since 2003. And now works hand in hand with Stan as the operations manager, managing day to day activities. Northtech has completed 150,000 meters of drilling since their inception in 2006 with well over 100,000 of the meters being specifically diamond exploration. We take pride in what we do and it reflects on the work we put out. With the very experienced and knowledgeable crew we field we have well over 100 years of combined experience operating drills, with a specialization in working in the high arctic, drilling permafrost, dealing with long hose lines, and working in remote, harsh, and the most unforgiving of environments. This wealth of experience allows us to provide our clients with the best service possible. We strive to meet, if not succeed, all of our client’s expectations. We have the knowledge, expertise, and experience to get jobs completed in a safe, timely, and cost-efficient manner. Contact us today to know more about us! © 2018, Northtech Drilling Ltd. All Rights Reserved.